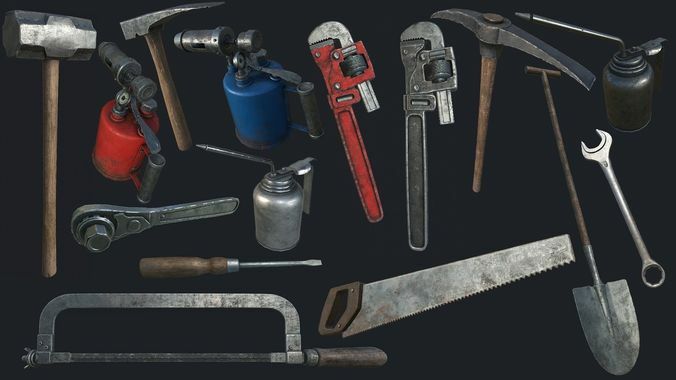 Very Detailed Collection of 12 High Quality Old Work Tools, perfect for decoration, weapons, or items. Fits perfect for any PBR game such as Survival, or other genres. between 2048x2048 - 4096x4096 TGA Textures for each model. Please Note, this PBR Textures Only.